Goddess Born is a remarkable amalgamation of historical fiction, fantasy, mystery and romance quite unlike anything I have read before. For much of the story, Selah reminded me of an Austenesque character - plucky, determined and sardonic while also being kind and joyful - and if the story stayed within these lines it would have been enjoyable enough watching Selah try to solve her problem with the odious Nathan Crowley by marrying the handsome stranger Henry Alan, only to find herself, against her wishes, falling head over heels for him. Add on to this her heritage as the descendant of the goddess Brigid and her preternatural gifts of healing and we are in a whole new ballgame! I really enjoyed seeing how the author carefully dealt with this otherworldly element with such a tender hand that it never came across as hokey or beyond belief. It seemed quite plausible that Selah and her ancestors could have this gift and just as plausible that there would be those who would suspect something evil from it and plot against her for their own selfish reasons. The element I did not see coming at first but which was just as enjoyable was the mystery of who was working within Selah's home as well as without to help Nathan Crowley expose Selah as a witch and potentially kill her. I was pleasantly surprised to find that my initial suspicions were incorrect (at least partly) and I was shocked at the web that the more dastardly characters had woven around Selah and her home and just how far reaching their madness went. There are so many characters keeping secrets throughout the story - Selah, Nathan, Henry, others that I won't name in case I give something away - but it was this darker hidden fear and anger directed towards Selah and the vicious actions against her that really drew me into the story. While I can't say that I am a huge fan of romance in books, I have to say that watching the back and forth between Selah and Henry as they fought their frustrations and feelings towards each other and then the inevitable love that sprouted, the I'll-give-up-everything-for-you kind of love, was very satisfying and makes me eager to see just how far they really will go for each other when the pitfalls that stand in their way aren't so easily traversed. The book ends on a delicious cliffhanger so I am very excited to see how they handle what lies ahead. 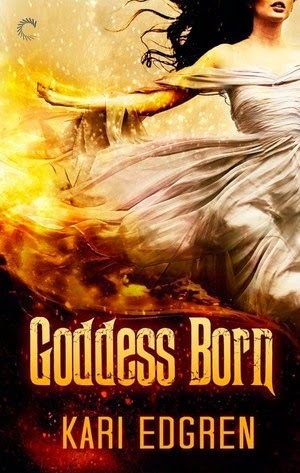 Goddess Born is a hard novel to classify but is easy to recommend because it is such a gratifying experience to read it. There really is a little something for everyone to enjoy. For someone like me who reads for pure enjoyment and escapism into history and a life unlike my own I couldn't ask for much more from this story. I am biting at the bit to read the next installment in this series! So What Did I Think Of The Cover? It is absolutely stunning! It perfectly captures that warmth and light that bursts from Selah when she heals others and, for me, exemplifies that unbidden goddess power that exudes from her very human body. often made to stay inside during kindergarten recess to practice her letters. 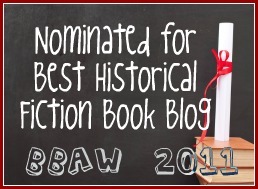 Despite doting parents and a decent school system, Ms. Edgren managed to make it through elementary school having completed only one book cover to cover – The Box Car Children, which she read approximately forty-seven times. Things improved during high school, but not until she read Gabrielle Garcia Marquez’s One Hundred Years of Solitude in college, did she truly understand the power of a book.